The 2.5-litre water tank gives you 80 minutes of continuous steam time. The model's really fast heat-up time of 45 seconds makes it good for last-minute adjustments. 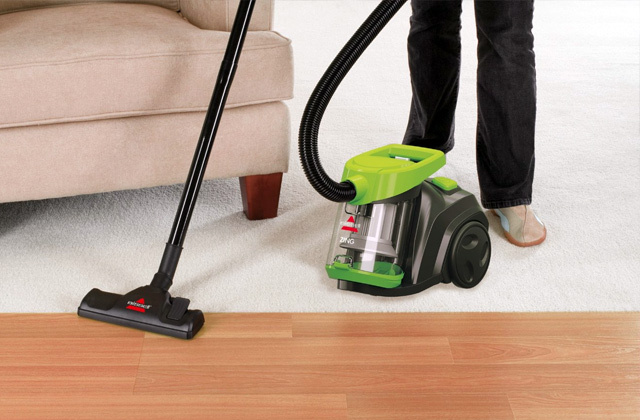 The foot-operated on/off pedal lets you control the steamer without bending over. All of the accessories require extra storage space. 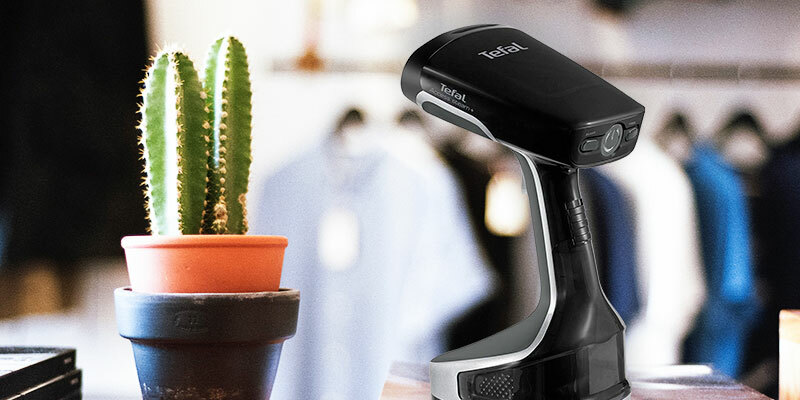 The Tefal IT6540 is arguably one of the most complete garment steamers that the market has to offer. In addition to its precision, convenience, and endurance, the appliance comes equipped with 3 extra attachments to help you with different garments and fabrics. The SmartFlow technology ensures that the steam plate is heated up to an optimal temperature. This way, the plate remains safe for all types of fabrics and prevents the occasional wet spots. It can be used vertically and horizontally. The continuous steaming time is lower than advertised. What the Philips GC362/86 handheld garment steamer lacks in steaming time, the model more than makes for up with its well-thought-out design, excellent functionality, and solid versatility. Aside from making your clothes look good, the appliance just as well removes odours and kills bacteria. 6 levels of steam output ensure that you can easily de-wrinkle garments made of either delicate or dense fabrics. The 360° rolling hanger significantly simplifies the steaming process. The tank might wobble a bit. The steamer has an ergonomic design - it can be inclined at 30° and is fitted with a flexible yet durable hose, garment hanger, telescopic handle, and casters. 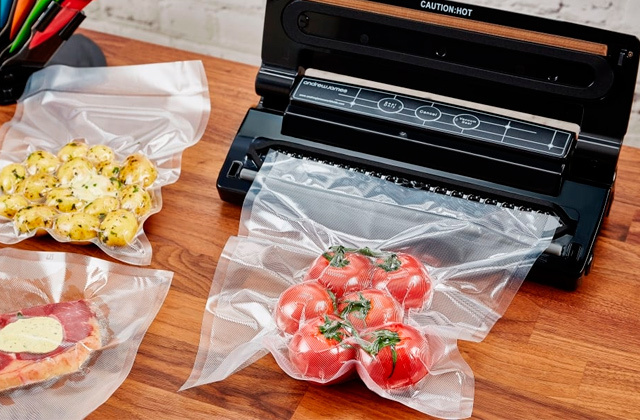 This smart design makes steaming even easier. The water tank is removable, so it is easy to clean and refill under the tap. The locking trigger keeps you and your clothes safe. 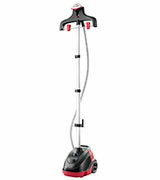 The 3-metre cord and a flat stable base make the steamer practical and convenient. The pleat attachment is perfect for trouser creases. For a handheld steamer, the model is a bit large. 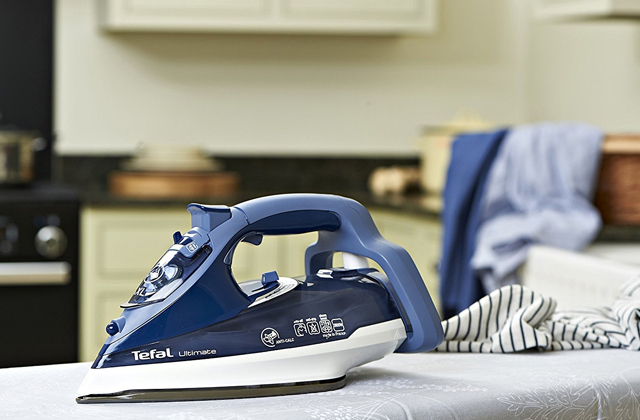 The Tefal DT8150 is an equally great travel model and household appliance. For a handheld garment steamer, it is fast and powerful, perfect for last-minute touch-ups as well as for everyday use. The ceramic coating of the soleplate gives you great results on all fabrics. 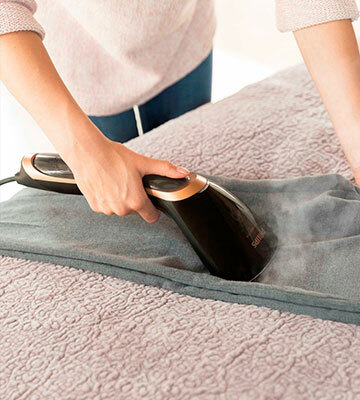 This steamer provides a high-speed steam output so that the de-wrinkling process does not take too much time. One filled tank is enough for steaming 15-20 items of clothing. The pole can be somewhat unstable if used for coats and other heavy garments. This convenient vertical steamer can remove 99.99% of bacteria, refresh, and smooth your clothing. 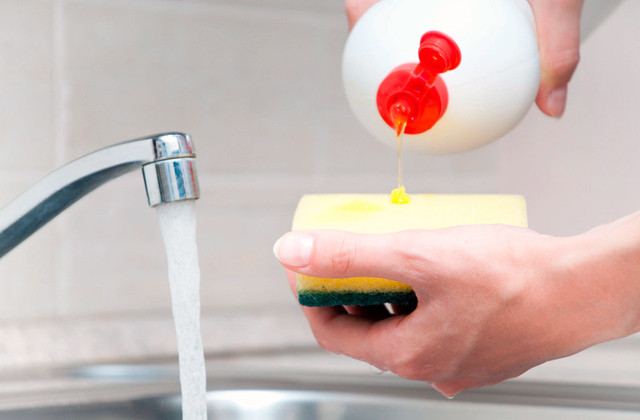 Owing to the self-cleaning function, you can pour tap water in the tank without any worries. This model comes with a bunch of handy accessories. Tefal IT6540 is a marginally more expensive option than most similar products but the price does make a lot of sense considering what this professional product offers in return. Speaking of which, that "Master Precision" title above is a bit of a giveaway. Yes, above everything else, Tefal IT6540 is precise. There are a few things that are responsible for its precision. First things first, there's the telescopic pole, mostly because it adjusts to a height that best suits you and your clothes. Plus, it collapses for easy storage, an aspect of its design that has nothing to do with precision but the one that we feel is worth mentioning regardless. While we're on the subject of adjustment, we would also like to point out the 360° integrated rotating hanger. 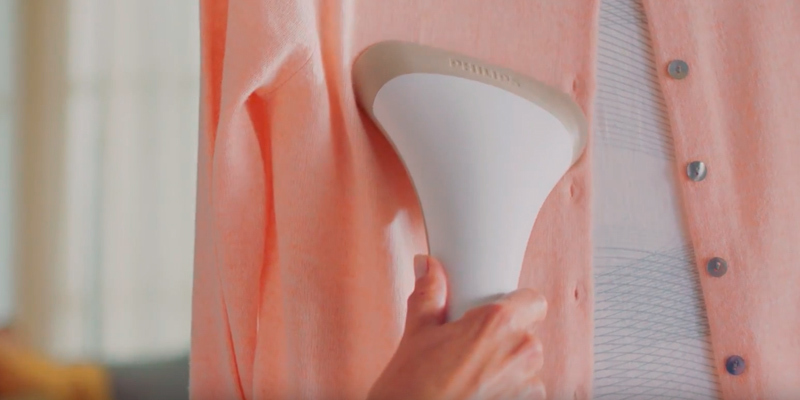 With it, you'll be able to steam both sides of your clothes with relative ease. Plus, it comes equipped with trouser clips, another little detail that lets you steam and sanitise clothes from both sides. With it, you'll be able to remove creases and refresh your clothes in as effortless and efficient of a manner as possible. But the biggest culprit, so to speak, behind the model's precision is probably its precise steam shot that comes through the tip. 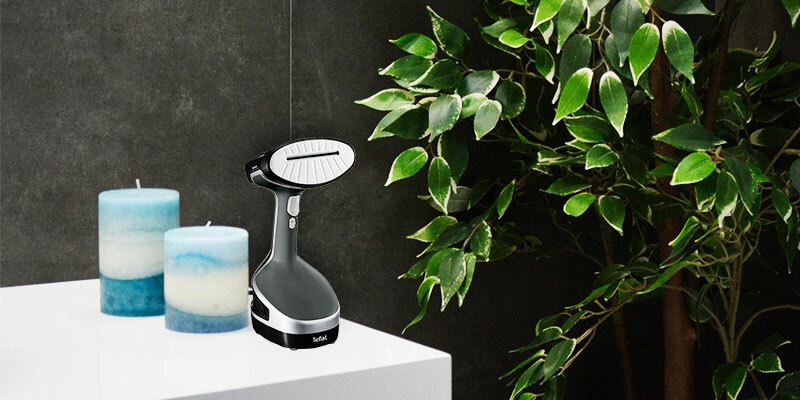 The combination of a powerful 30 g/min steam output and 2 different steam settings (diffused and concentrated) helps you remove even the most stubborn creases in the most hard-to-reach areas. So, does this garment steamer have anything to offer aside from its precision? Well, as it so happens, it does. For one, it comes equipped with a really sizable 2.5-litre water tank. That water tank is mostly the reason for the model's impressive 80 minutes of continuous steam time. As you'd imagine, 80 minutes is more than enough for any pile of clothes. Nevertheless, it is just as good for last-minute adjustments, largely thanks to its really fast heat-up time of 45 seconds. Unless you happen to be some sort of a deviant, there's no joy in steaming or ironing your clothes. But the right appliance can make it a lot less inconvenient and tedious. In the case of this model, the key is a foot-operated on/off pedal. 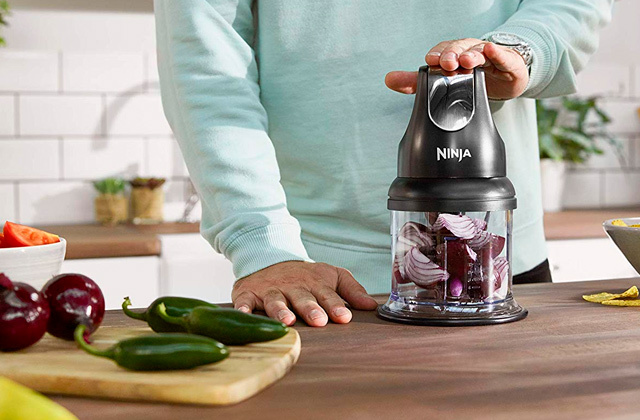 It lets you control the steamer without bending over, a considerable improvement over your usual deal. 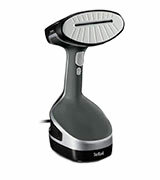 All things considered, Tefal IT6540 is arguably one of the most complete garment steamers that the market has to offer. In addition to its precision, convenience, and endurance, the appliance comes equipped with 3 extra attachments to help you with different garments and fabrics. These attachments and the model's performance make it suitable for commercial applications. 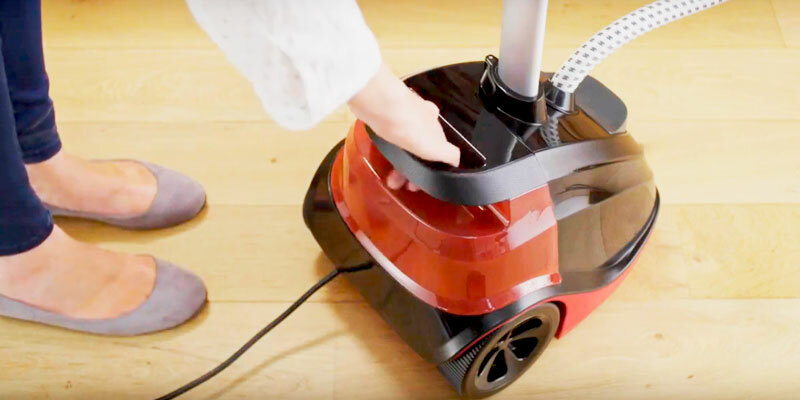 On paper, the Philips GC362/86 is your run-of-the-mill handheld steamer. Most of its specs do not necessarily disappoint nor impress. But that's just how it is on paper. Take a closer look and you'll find that the model actually has quite a lot going for it. At the end of the day, it isn't about the number of characteristics nor about the specs. More often than not, it is about execution. And that's where the steamer edges out a solid chunk of its competition. That execution starts with the SmartFlow technology. In layman's terms, the technology ensures that the steam plate is heated up to an optimal temperature. This way, the plate remains safe for all types of fabrics and prevents the occasional wet spots. The heated steam plate makes it easier to press the fabric while steaming horizontally, giving you improved steaming results. All in all, the steamer is an equally fitting everyday solution for your standard garments and for delicate fabrics like silk. By the way, the aforementioned horizontal steaming isn't your only option. Though it is the optimal choice if you need the right results in those difficult-to-iron areas such as collars and cuffs. But if you simply want to quickly de-wrinkle and refresh your clothes without using an ironing board, vertical steaming is the way to go. Admittedly, some things about this handheld garment steamer aren't that impressive. The continuous steaming time of 8 minutes isn't too shabby for a handheld steamer but it isn't remarkable either. Plus, despite the advertised number, it doesn't always give you those full 8 times. The person to blame for the limited steaming time is mostly the 70-millilitre water tank. Then again, we can't really hold it that much against the steamer. The numbers may seem unimpressive out of context but keep in mind that we're dealing with a particularly compact appliance. It adds up to 38.2 x 15.2 x 13.6 centimetres in overall dimensions and weighs less than 1.3 kilograms. Add to that the ergonomic handle and you have yourself a practical and convenient device that you could use for hours on end. The steam output here is fairly respectable. 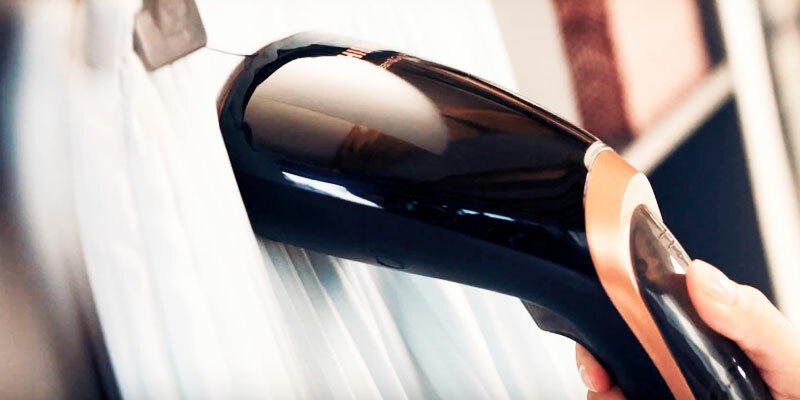 The electric pump that the model comes equipped with automatically provides you with a continuous steam output of up to 24 g/min, just the thing you need for quick and easy de-wrinkling. In conclusion, what the Philips GC362/86 handheld garment steamer lacks in steaming time, the model more than makes for up with its well-thought-out design, excellent functionality, and solid versatility. Aside from making your clothes look good, the appliance removes odours and kills 99.9% of bacteria. 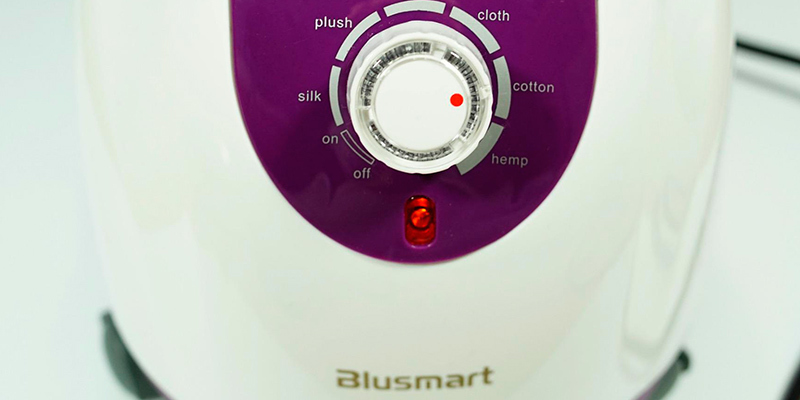 Considering the Blusmart cloth steamer, we can say that it is a really thoughtful appliance. It serves as an iron, and its main purpose is freshening your clothes. However, it differs from a classic iron in the way it works. It smoothes fabrics with hot steam, and under the influence of a powerful steam output, the fibres of the fabric become super straight. Compared to a conventional iron, this vertical steam is rather bulky, however, it has plenty of advantages. This model allows you to steam your clothes vertically even without removing a garment from a hanger. Besides, there is no direct contact with fabrics, which minimizes the risk of burning delicate fabrics. Unlike ordinary irons, the Blusmart garment steamer gives you the ability to smooth your clothing even in hard-to-reach spots. Importantly, steam not only smoothes the fabric but also sanitises it. Using it, you will forget about odd odours, bacteria, mites, dust, etc. 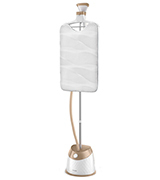 The delivery set includes the garment steamer itself, a brush, a pants clip, and a cloth hanger. 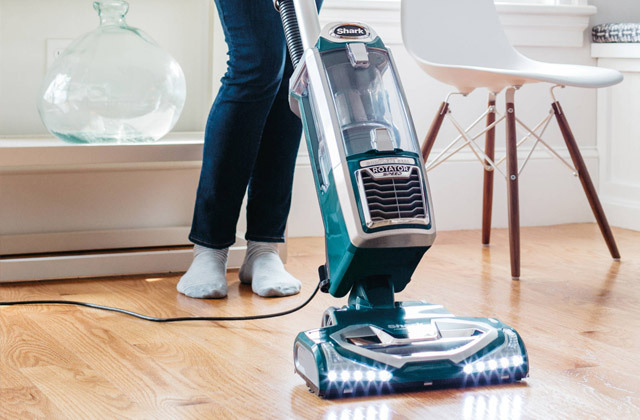 This appliance features 6 selectable steam levels, a foot-operated switch, and a steamer head with 11 holes which is able to telescope up to 30° to meet your steaming needs. 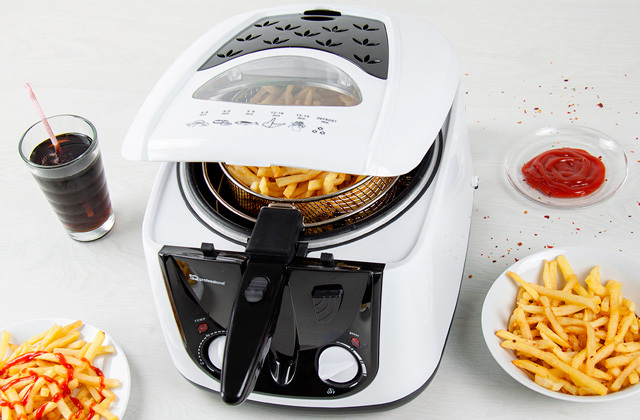 The steamer also provides a quick heat-up feature and can emit steam in just 45 seconds. 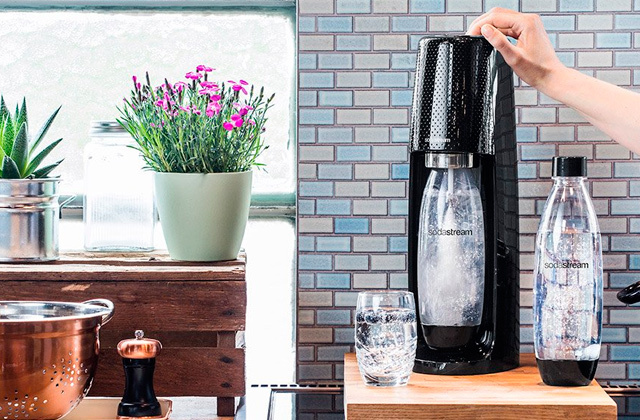 The transparent 2.2-liter water tank lets you forget about refilling for a long time. And the 360° rolling hanger contributes to convenience of use. 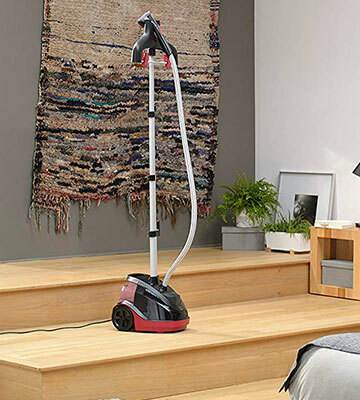 In combination with the smooth-rolling casters and the retractable pole design, the steamer offers excellent manoeuvrability. 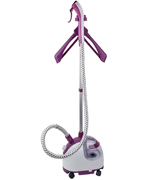 The Blusmart garment steamer is an affordable yet functional model with the power of 1450W. So, if you're looking for a reliable and helpful device for everyday use, the Blusmart clothes steamer is a great choice. - be careful: contact with hot elements, hot water or steam can lead to burns. Take into account these simple tips and your Blusmart vertical clothes steamer will serve you for a long time, bringing you only comfort and joy. The Tefal DT8150 is a solid all-around product with its highs and lows. For our taste, we would say that the highs definitely outweigh the lows, which is why we've included this product in our review. That said, we would still like to address one or two of its flaws. More than anything else, we aren't the biggest fans of the model's bulkier profile. The whole thing adds up to 11.5 x 14.5 x 27.5 centimetres, so it isn't particularly tall but a tad too wide and inconveniently shaped to be comfortable. On the other hand, it is surprisingly light. With a weight of 1.07 kilograms, it is arguably one of the most lightweight handheld garment steamers on the market and definitely one of the most lightweight steamers in its price range. Now, as for the model's highs, we would like to start with its fast 40-second heat-up time. 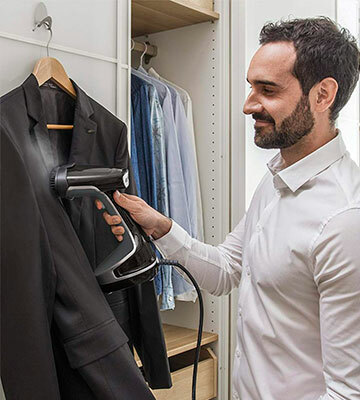 Sure, it may not be that much of a change compared to the usual deal, but even some of the most expensive standing garment steamers seldom feature this kind of heat-up time, so we definitely couldn't overlook this parameter. The continuous steaming time here ranges somewhere around 9 minutes. It's nothing we haven't seen in the aforementioned standing steamers but, for a handheld model, it is actually rather impressive. We've been criticising the model's appearance earlier but it was probably largely influenced by the 200-millilitre water tank. And if it wasn't for the tank, the appliance wouldn't have been able to deliver 9 minutes of continuous steaming time. So, as it is always the case, you have to sacrifice one thing in favour of the other. Again, we've been critical of the steamer's appearance, but it's not like we don't like a single thing about its design. On the contrary, there is a lot to like here. The aforementioned water tank is removable, so it is easy to fill and clean. The locking trigger keeps you and your clothes safe. Finally, the 3-metre cord and a flat stable base make the whole thing practical and convenient. With garment steamers, the steam output is always a priority. And, for a mini handheld model, 26 g/min is nothing short of excellent. Add to that the appliance's fast heat-up time and you'll be able to refresh and sanitise your clothes in no time at all. The soleplate that heats up to 140°C reduces the chance of drips, so your clothes will be ready to wear straight after steaming. Aside from the steamer, you get a nice little door hook that will let you hang your clothes just about anywhere. You also get a fabric brush that helps with thicker fabrics, a steam bonnet that helps with delicate fabrics, a pleat attachment for trouser creases, and a nice little travel bag for convenient storage and transportation. All in all, the Tefal DT8150 is a portable appliance that's equally great for travelling and home use. For a mini handheld garment steamer, it is fast and powerful, perfect for last-minute touch-ups as well as for everyday use. The ceramic coating of the soleplate gives you great results on all fabrics. The Philips EasyTouch Plus Standing Garment Steamer is indeed a great investment. This appliance will smooth any type of fabric - silk, chiffon, cotton, wool, and others. 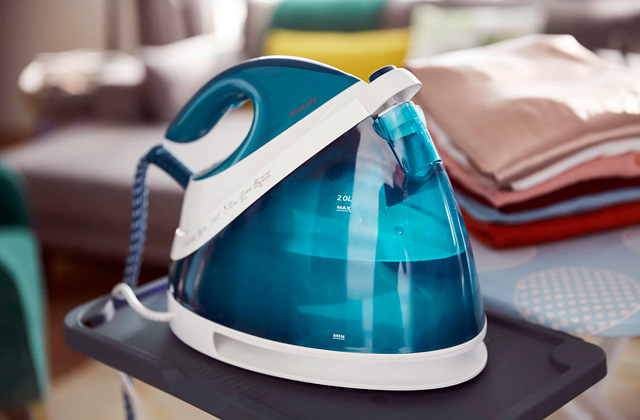 With the Philips EasyTouch steamer, you will freshen your clothes much faster and almost effortlessly. The manufacturer equipped this garment steamer with a capacious water tank (1.6 litres), so you do not have to pour water into the steamer too often. This capacity is enough for treating approximately 15-20 garments (of course, it depends on their size and type of fabric). In the kit, there is a safety thermo-glove and a special brush for thicker fabrics. The brush is really a good addition which contributes to the usability of the device. It helps steam tight items of clothing; the brush perfectly cleans out dust and villi. The brush can also make pleats if needed. 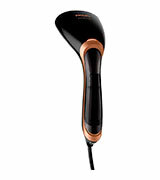 The steamer features an adjustable pole that simplifies the process. The steamer is equipped with an extra hook for a conventional garment hanger. This model offers five steam settings for different types of fabric. At the maximum steam mode, the device is ready for operation in just about 20 seconds which is quite fast. In addition, there is a calc-clean function, which helps you maintain the steam for an extended period of time. The overall look of the steamer is amazing. 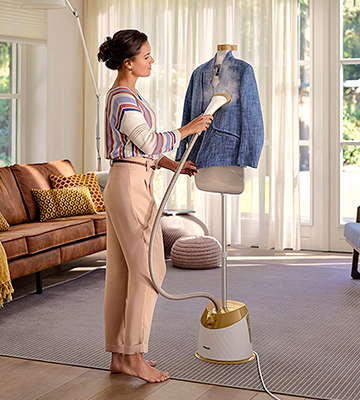 The beautiful design, backlit "Mode" button, and the rippled surface make the Philips EasyTouch Plus Standing Garment Steamer look elegant and modern. After all, it's nice when the home appliance is not only functional but also attractive. Considering all of the mentioned above, we can make the conclusion that this steamer can become an essential accessory in your house. 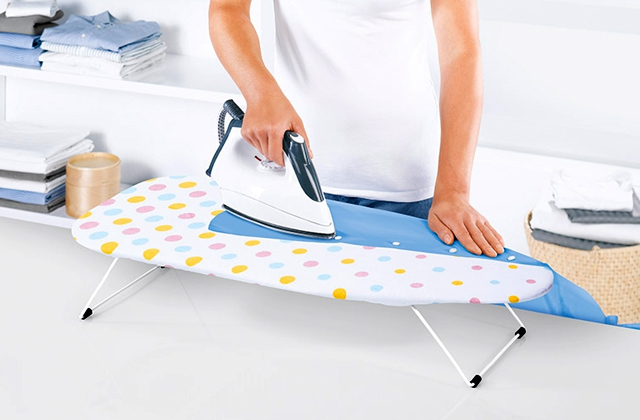 It will make you forget about an iron and a bulky ironing board. 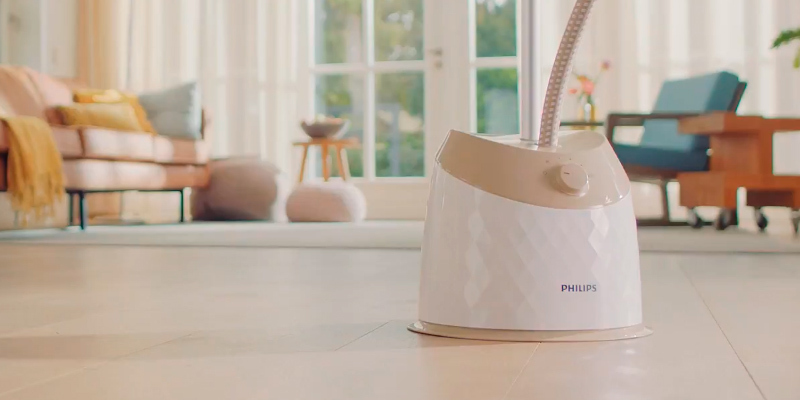 The Philips EasyTouch Plus garment steamer is designed for daily use and quick removal of wrinkles. Thanks to modern technologies, it is ideal for smoothing out garments (even those made of delicate fabrics). Safety glove for extra protection during steaming. As you see, this model is worth every penny. If you want to make a good impression on everyone, a rule of thumb is to wear neat and clean clothes. With that in mind, the market provides many good household appliances, with a garment steamer being one of them. Like the name suggests, a garment steamer is designed to fight wrinkles and refresh clothes by treating them with hot steam. 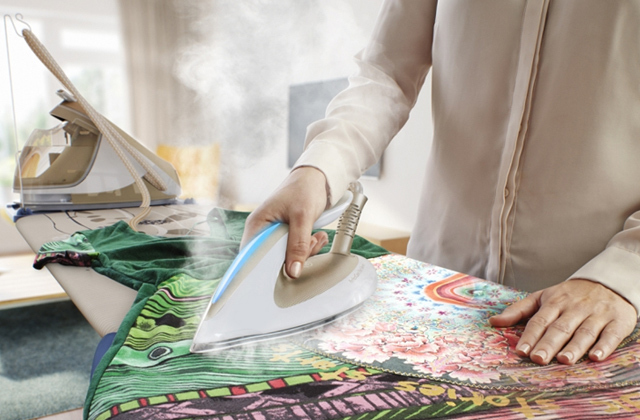 Unlike conventional irons that work from the mains, fabric steamers are more convenient to operate, weigh less on average, and offer better manoeuvrability. Plus, as they use steam, there's almost no risk of damaging clothes, even if your wardrobe contains mostly silk and fabric dresses. Yet, the biggest advantage of garment steamers lies in the fact that they not only allow for removing wrinkles and making your clothes perfectly smooth but also killing germs and bed bugs which often inhabit on bed clothes. This makes them especially useful for people with allergies as well as for those who may need to sterilise certain things from time to time. Garment steamers come in a variety of designs and shapes and can perform a variety of different functions. To make the choice less trickier for novice users who do not know a lot about garment steamers, we've selected the top-5 of models so you can choose one that will be right for you. Another appliance which may come in handy for cleaning not only your bedding but also furniture and even car is a steam cleaner. In case you don't own one yet, make sure to read our best steam cleaners reviews. There are several types of clothes steamers available today. The most popular one is an upright garment steamer. It is used to de-wrinkle and smooth clothes that are hung on a hanger or attached to some pole. 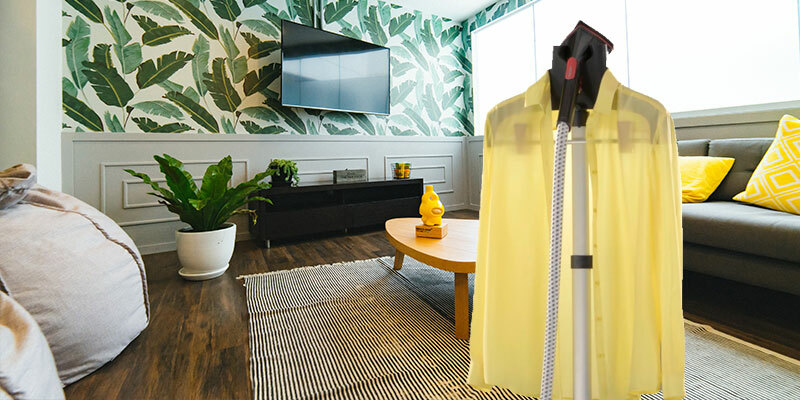 The beauty about upright garment steamers is that they allow for a quick freshening of clothes including upholstery that is impossible to iron in any other way. Upright models are compact in size and take very little space; they offer excellent manoeuvrability. The second type is a steamer with a base. This type of garment steamer, obviously, is bulkier but it is also more versatile allowing you to iron almost all types of clothes and fabrics that you have in your place. Generally, using these garment steamers requires an ironing board too. The next two features to consider are the power and steam output. 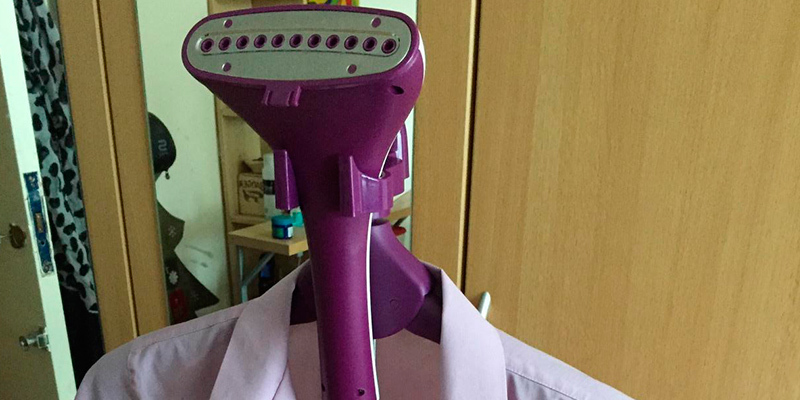 These two parameters determine how fast you'll be able to smooth and de-wrinkle your clothes. 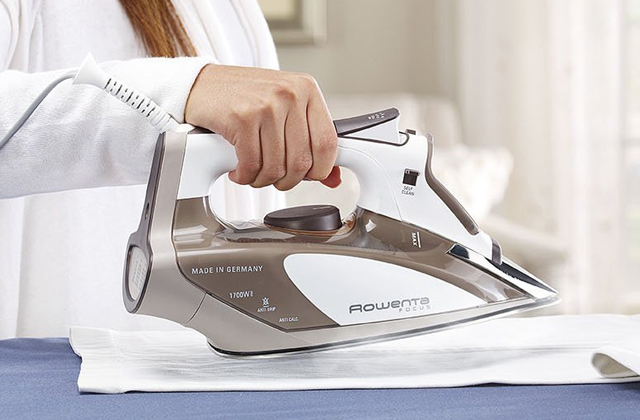 It's crucial that the steam flow is not weak and allows you to finish ironing in less time. 1300-1800 Watts are considered the ultimate performance with the minimal steam output of 25 g/min. It goes without saying that the more powerful the steamer is the faster the steam will be produced. Though the difference in time is not huge, it's still nice not to waste time waiting. So make sure to check out the heat up time as well. A tank capacity is also important. The bigger it is the more time you will be able to iron without having to refill it. On average, tank capacity featured on garment steamers varies from 200 ml up to 2 litres. Whether you need a steamer for home use or you're looking for a portable thing suitable for travel as well, the market offers multiple options to choose from. Like we said before, the steaming time is linked to the capacity. Finally, consider the package: what nozzles and how many accessories come supplied with the unit. What is also important to pay attention to is the quality of materials. To reduce price on their products, many manufacturers produce nozzles from plastic, but if you want them to serve you longer, we highly recommend considering those made of durable aluminium or stainless steel. Some of the nozzles may also include an additional heating element which allows them to heat up faster and better removing stubborn creases. These nozzles are usually connected to a steaming station by a special hose, through which goes the steam; the longer they are, the easier it is to move the steamer over clothes. Last not the least, check out what brushes come included. Many of them can be really helpful, allowing you to clean not only your blouses, dresses, and pants but also heavy fur winter coats. 1. Mariette Mifflin Before You How to Buy a Clothes Iron, Steamer or Press, About. 2. Kelly Burgess How to Buy a Garment Steamer, ConsumerSearch. August 10, 2015. 3. Garment Steamer Buying Guide, eBay. February 18, 2014. 4. 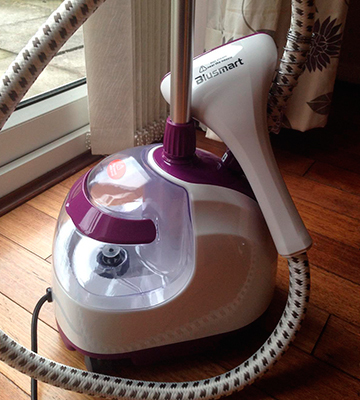 3 Tips for Choosing a Portable Garment Steamer, DoItYourself.com. 5. Rebecca Ciaramidaro Garment steamer buying guide, Choice. March 21, 2014. 6. Mariette Mifflin Common Uses for a Garment Steamer, About. 7. How to Use a Clothes Steamer, wikiHow. 8. Irons vs. Steamers, eBay. June 9, 2014.